These beauties produce bigger clumps and more flowers each summer, giving you so many colorful blooms you'll have plenty left for your cut-flower bouquets! 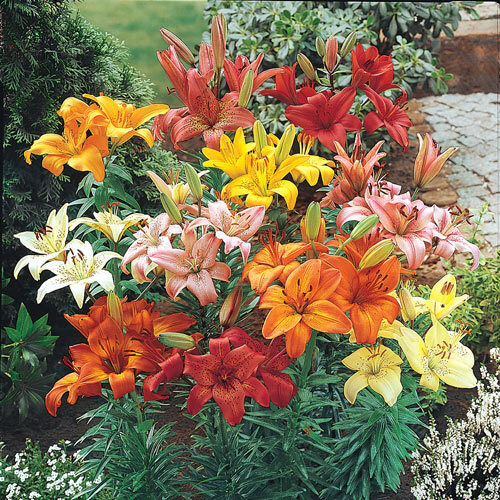 They're stunning in the garden among other flowering perennials, in masses, in beds or as a colorful border. Foliage TypeNumerous lance-shaped leaves whorled around the stems. Dark green in color. Flower FormCup-shaped to slightly recurved. PruningDon't remove leaves until they have died down in fall. 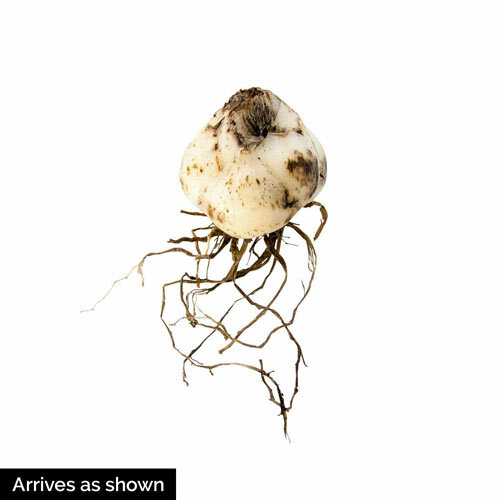 They provide nourishment to the bulb for next season's blooms. Late fall. Winter CareProvide a layer of mulch for winter protection. 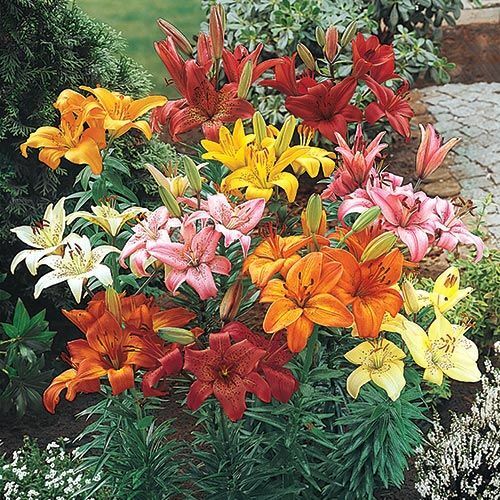 Additional InformationLilies require a cold dormant period, best grown in zones 3-8. Planting InstructionsPlant 4 - 6" deep. Prefers well-drained soil. Incorporate bulb booster or other high phosphorous fertilizer when planting.